"I have always been intoxicated by the idea of communication through music..."
The Juilliard School with Bill Purvis and Jennifer Montone. Do you have a secret or not so secret hobby? Read more about Sydney's life with the horn. Does the French Horn have anything to do with France? Could you tell us a little bit about the origins and development of the horn. Good question! We tend to refer to our instrument simply as horn, as this bypasses the entire nomenclature debacle! If you're really interested to know more... the french horn, in the form we've all come to know and love, was developed by the Germans in the 19th Century. Before that, the horn served a practical purpose for hunters out in the forest. It's piercing brassy sound was used to signal fellow hunters and their dogs in the forest. The French Horn seems to have such a versatile role in music; Is it wind or brass or honorary cello?! I believe the horn is the most versatile instrument of all! Its vast range of sound qualities allows it to blend easily with all instrument families; the bright world of brass, the quirky sounds in woodwind-land, and the rich, mellow tones of the string family. In your opinion, what are the greatest chamber works ever for French Horn? The Brahms Horn Trio, Op. 40 is undoubtedly the most popular chamber work for horn. There's a massive body of repertoire for wind quintet and various wind ensembles that features the horn and gamut of other works by Mozart, Beethoven and Strauss. The horn also makes guest appearances in many mixed ensemble pieces by Dohynani, Schubert, Janacek and Poulenc, My personal favorites are Dvorak's Serenade, Gabrielli's brass transcriptions, and Reinecke's Trios for piano, horn, and oboe/clarinet. I have always been intoxicated by the idea of communication through music. I have great respect and admiration for my colleagues and love connecting with other players in a non-verbal and creative way. I'm also passionate about playing music that audiences can connect with and the opportunity to speak to them about the music as it provides helpful context; guiding their listening in a meaningful way. 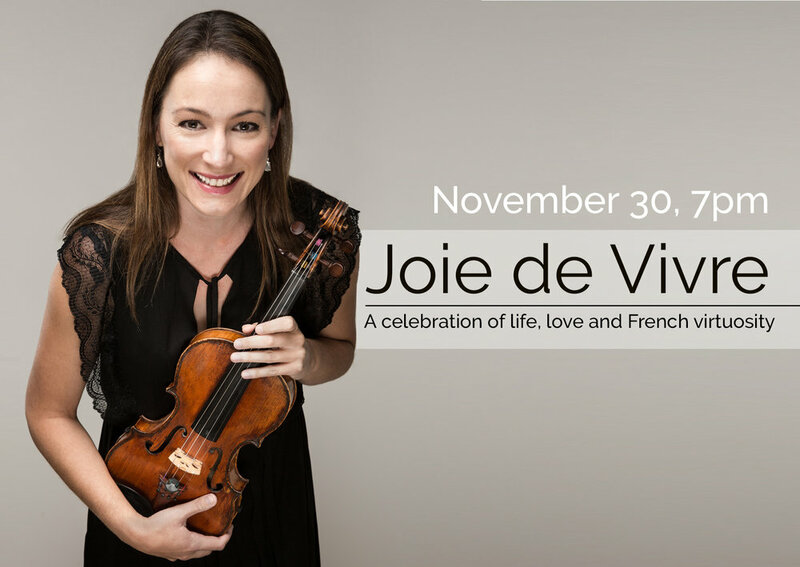 See Sydney in concert this November for Joie de Vivre.